Alcohol is not the best thing to reach for if your food is too spicy for you. But if you love the burn of spicy food and want to intensify the flavour of your meal, a glass of wine can compliment it well. Photo by Ken Hawkins. Laura Burgess at The Kitchn recommends three main types of wine for heat seekers: off-dry whites, dry whites, and light reds. The sweetness of off-dry white wines like Rieslings, Moscatos, and Chenin Blancs go well with peppery dishes, and Riesling can even sooth the intense flavour of wasabi. 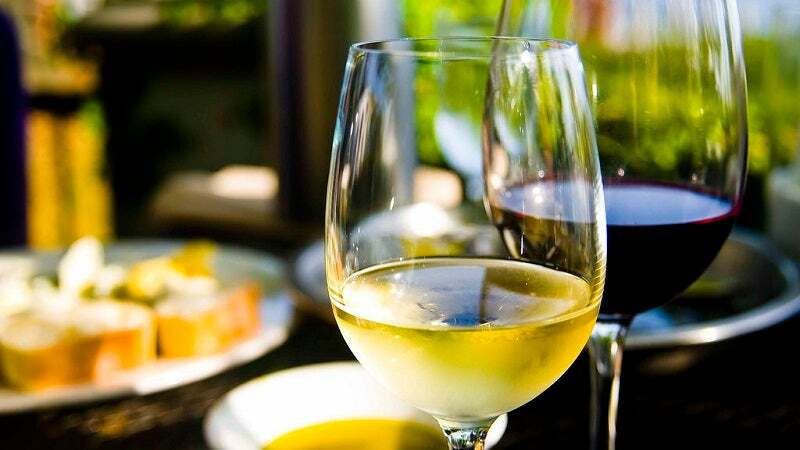 Dry white wines like Portuguese Vinho Verde perfectly compliments spicy Chinese food, and Sauvignon Blanc or Spanish Albariño gives a sweetness to spicy foods without the sugar you find in off-dry whites. Lighter reds like Italian Schiava, Pinot Noir, or Beaujoulais are also some great options when having spicy Asian cuisine. Steer clear of bolder reds like Malbec and Shiraz, though, as they will intensify the burn of spicy food even more. If you're not sure what bottles to pick, you can find some great recommendations at the link below.